This year was heavily focused on increasing the overall user friendliness of the product. One of the biggest ways we accomplished this was by adopting a workflow similar to other Autodesk products through our tab and toolbar system. Additional features we implemented were revolved around our user research from 2017. This included the gameplay features, network multiplayer, and a Fusion robot exporter in addition to our Inventor exporter. It was also a big year for redesigning our code emulator so that the backend will require less maintenance from year to year. 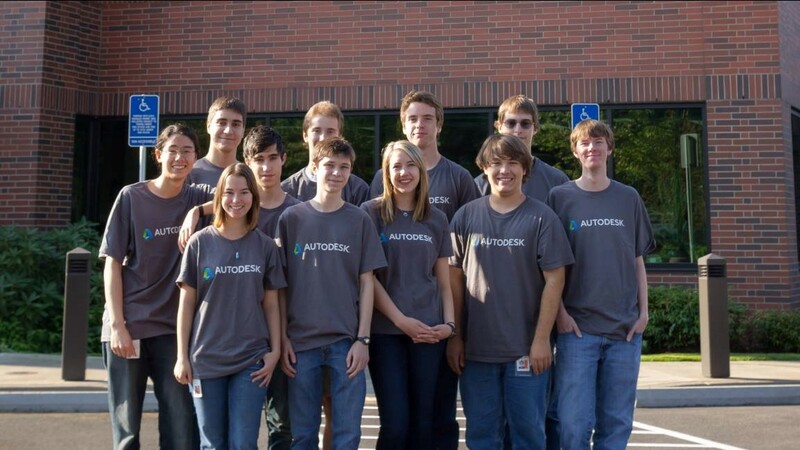 Fun Fact: This was the first internship located in the new Portland Autodesk offices. It was also the first time the whole team took an overnight business trip to Microsoft. 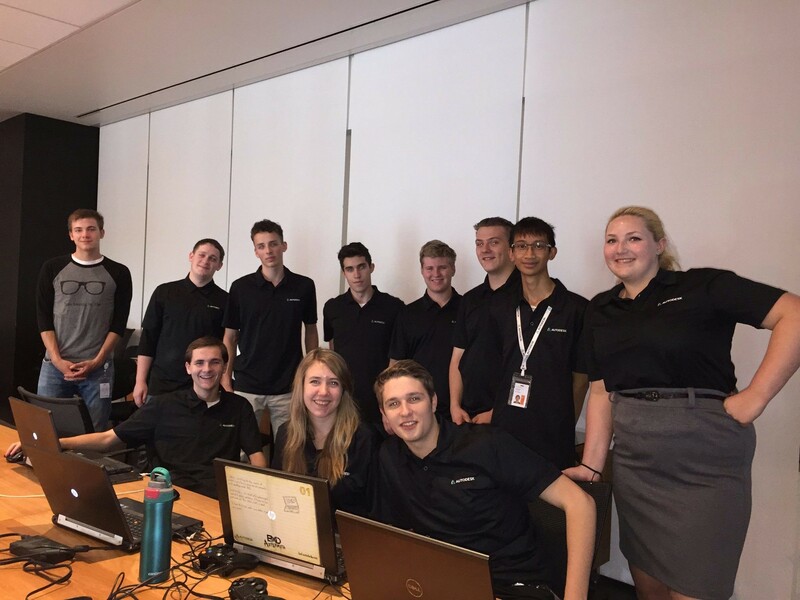 With the groundwork and features developed in previous years, 2017 was a productive year allowing us to expand the intern team and a variety of aspects within the simulator. The user interface was vastly improved by streamlining many of the workflows, especially by integrating driver practice into the main simulator mode. Many new features were implemented including custom control schemes, a new “Mix and Match Mode”, sensors, robot cameras, collision analysis, and the complete integration of Bullet Physics. 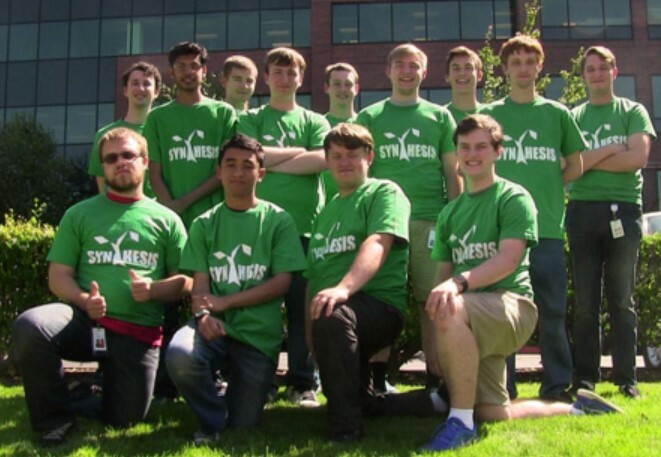 Fun Fact: The Synthesis team had a strong bond and often stayed late after work to do fun things together in the area. In 2016, Synthesis had more discrete components than the previous year. One of the most notable changes was the addition of a main menu which allowed for new simulator settings and multiple simulator modes. Additional research and development was focused on alternative rendering software (like OpenTK) and storing data through A360. Eventually Mackinnon Buck, one of the high school interns, integrated Bullet Physics the integration was released as a separate beta in 2015. Fun Fact: The team went to lunch a lot and had a ping pong tournament. Of course, they ended another year go-karting. Synthesis was not as modularized as it is now so many of us were involved working on multiple aspects of the simulator. During the 2015 summer internship, we made a GUI for the robot exporter, implemented a field exporter, and updated our emulator to support the 2015 version of WPILib. Many aspects of the simulator were also upgraded including multiple camera views, improved physics and overall stability. It was also the first year we had a User Experience (UX) intern who focused on reaching out to teams to collect data about what they would find useful in Synthesis. 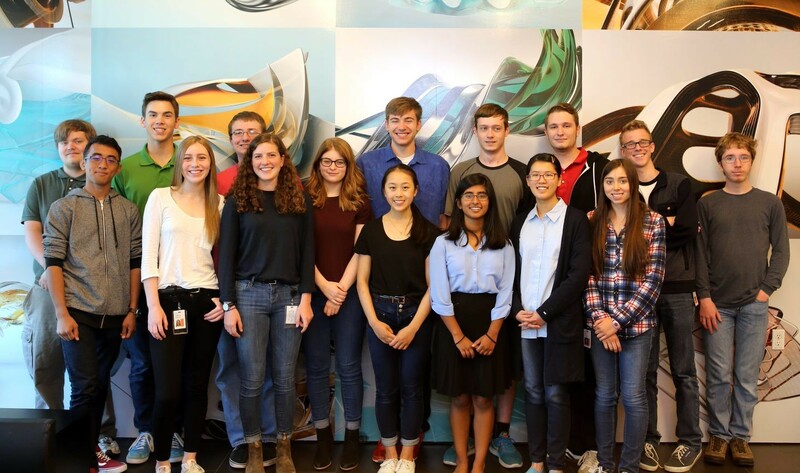 Fun Fact: The team went on weekly lunch outings together (eating way too much sushi) and celebrated the end of the summer internship go-karting. Their “offices” were also in the designated Ping Pong room at Autodesk. 2014 was the first year of active development on Synthesis. The project started as a joint resolver plugin from a FIRST Robotics student, Westin Miller. 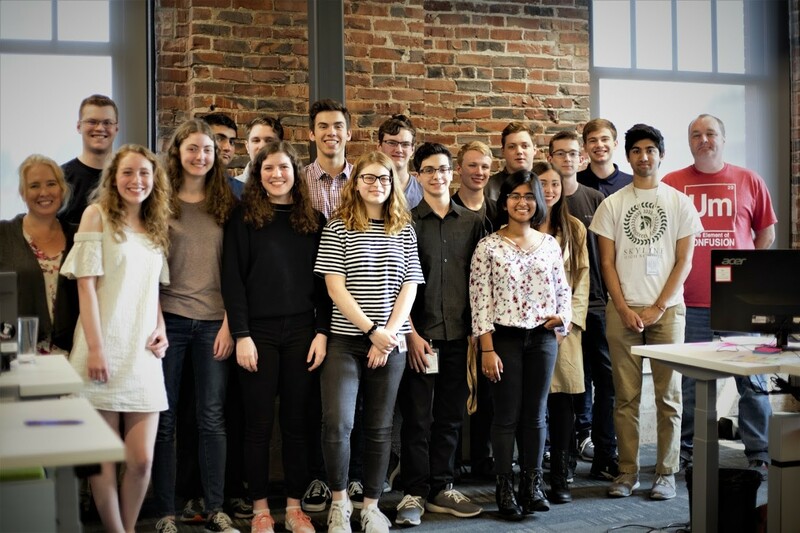 The project was continually developed by a group of FIRST robotics high school students who were involved in developing Synthesis. Fun Fact: The project was originally named Aardvark.